Congratulations to Turner Yates, who signed today to play tennis for the Missouri Tigers. 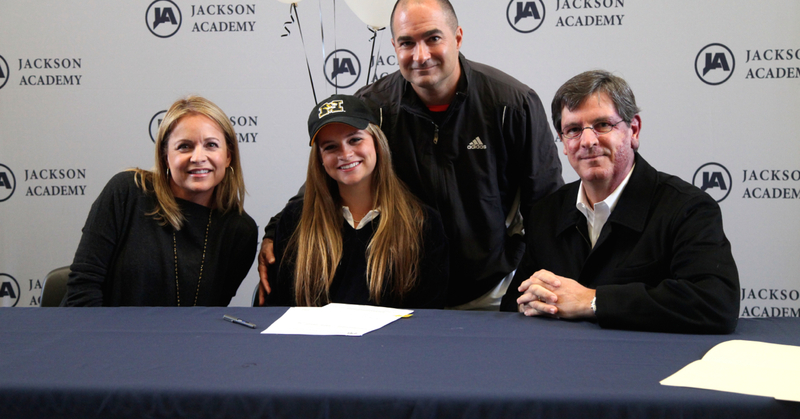 She is pictured with her parents, Gene and Kendall Yates, and her coach, Julio Godreau. Visit http://www.tennisrecruiting.net/article.asp?id=2071 for more information about Turner’s path to Mizzou. Click here to visit WAPT.com or here the University of Missouri Athletics website for more information about Turner Yates signing with Mizzou Tigers.